The Business Research Institute (BRI) is a modern agency-inspired research facility in the midst of a vibrant academic environment. 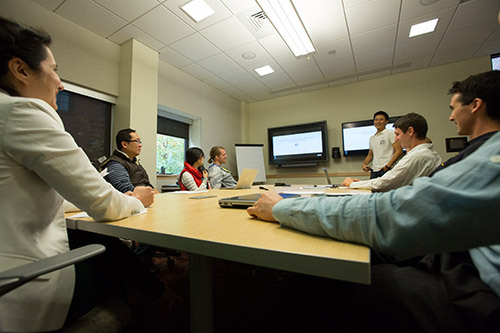 Because the BRI is housed on the University of Oregon campus, it provides unique access to and collaboration with faculty experts, diverse demographics and student populations from around the world, and sophisticated technological infrastructure. In addition, the city of Eugene, home of the University of Oregon, is regarded as trendsetting in sustainability, sports, social issues, and technology adoption. 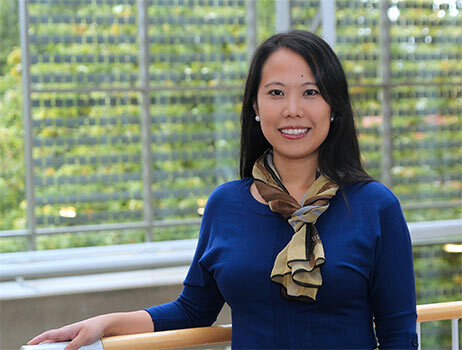 Those using the BRI also make a philanthropic impact, inspiring research innovation among students and faculty in addition to benefiting learning and training initiatives. Computer lab ideal for experiments, usability studies, and training. HEDCO is a private foundation that supports a wide range of philanthropic endeavors, from gifts to purchase equipment and technology for projects advancing scientific and medical research to grants for building projects that support professional practice or address social welfare. 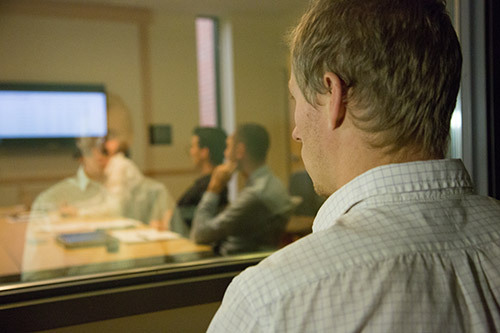 Designed for qualitative research (especially focus groups), videoconferencing, and seminars. Founded in 1944, ESI is a leading supplier of innovative, laser-based manufacturing solutions for the microtechnology industry. ESI is headquartered in Portland, Oregon, with global operations from the Pacific Northwest to the Pacific Rim. ESI’s gift to the BRI was in honor of the company’s late cofounder Douglas C. Strain, a philanthropist and founding father of Oregon's high-tech industry. 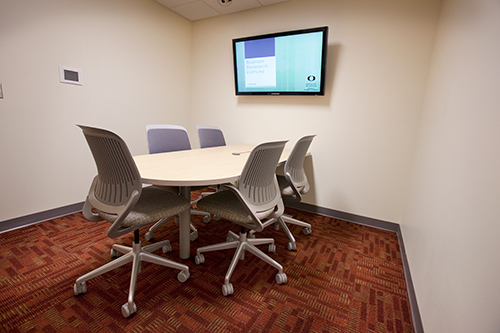 A collaborative space for in-depth interviews, teleconferencing, and team work sessions. 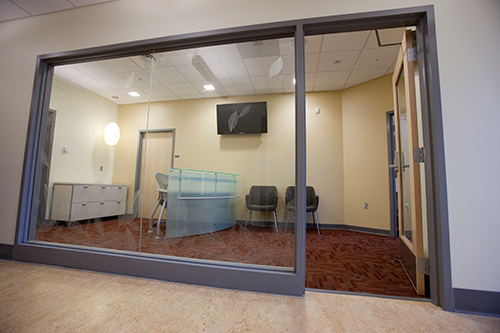 Observation space and central hub for the integrated systems in the Business Research Institute. A sophisticated research-agency entry for greeting participants, clients, and visitors. The Business Research Institute is available for corporations, local businesses, public relations and advertising agencies, research firms, and academic researchers from on and off campus. 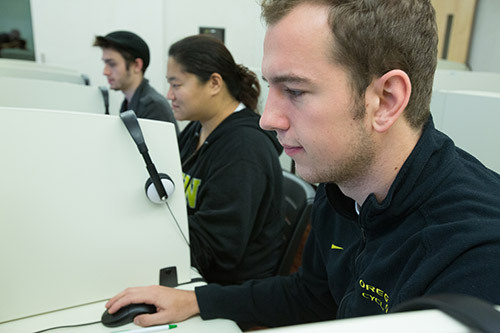 Usage fees support ongoing operations of the institute and/or are invested in initiatives to advance research at the University of Oregon Lundquist College of Business.